Do you know how many investors you have? Who they are? Where they live? Do you need maximum participation in your initiative? Our solution-focused services are engineered to solve the complex situations faced by each of our clients. By individualizing our approach to each project, Globic is able to combine technology and expertise to solve the complex challenges faced by our clients. Comprised of a group of professionals with legal and financial backgrounds, we approach each transaction with a client first mentality. Our experienced staff, works closely with the deal management team to ensure the best possible outcome by providing crucial market intelligence, insights to transaction mechanics, and settlement processing. Most important, we understand the pressures and rewards associated with complicated transactions, and our team is ready to surpass your expectations. To support our clients as they develop their investor outreach strategies, Globic identifies the ultimate investors. 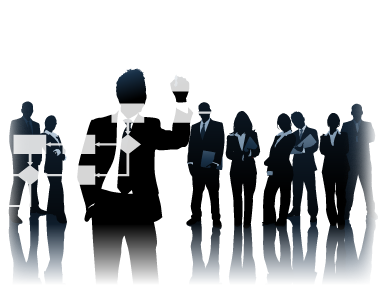 We are able to penetrate the various layers of ownership to arrive at the ultimate beneficial owners. From trustees and clearing systems all the way to the custodial banks and their clients, the beneficial owners, Globic will create pathways to put you in touch with your investor population. • Names and addresses of investors. • Contact information for the key decision makers over the investors' portfolios. • Breakdown of institutional versus retail holders within the holder population. Identifying beneficial holders is often the beginning of a successful initiative. Beyond simply providing a single point of contact with your investors, Globic can provide specialized communication strategies aimed at maximizing investor response and participation. These strategies will be driven by the distinct make-up of a project's investor population, and will leverage Globic's extensive experience with initiatives of similar parameters. Having a unique knowledge of the clearing systems and their participants, Globic is more than able to convey your message to all of your investors. In addition, we utilize information gathered from our identification process to eliminate fundamental delays within the system. This information allows us to bypass bank and/or broker middlemen, while giving you an opportunity to open direct channels with your investors. Applying the latest technologies, we are able to expedite the conveyance of information while greatly reducing the cost to our clients. When dealing with tender offers, exchange offers or consent solicitations, your Globic advisor will collect and tabulate all responses from the beneficial holders. In our strive to achive a maximum response rate, we will keep our clients and their advisors informed of the transaction progress on an ongoing basis. We will run down any missing responses and, through an ongoing dialogue with the participant, provide as much 'behind-the-scenes' color as possible throughout the transaction. Upon completion of a project, we prepare a final Certificate of Tabulation for the Court or the Trustee attesting to the manner and validity of data collected. Drawing from our legal and financial backgrounds we are able to provide insight on transaction mechanics, and, in particular, document production. We will also advise on the presentation and design of the printed materials, looking at each initiative from the vantage point of the investors and their financial intermediaries. Given our experienced understanding of how investors, intermediaries and participants effectuate various transaction types, we can guide our clients towards shaping the communication of the deal in a way that will assure a successful transmission and response.